It doesn’t matter if you’re competing on highest levels or not..This is the opportunity for you, your son and his friends to live a unique surf experience in Australia who will help him to take his surf to the next level with a completely new coaching method inspired by the surf training of real surf champions as M. Fanning, J. Parkinson, M. Occhilupo and many more. • Widest variety of age, ability levels, recreational surfing with the support of video analysis with the latest modern technologies and ‘machines’. Plus swimming pool and skateboard session training. You will make new friends leaving with a true local family, improving your spoken english and having a lot of fun for an holiday that you will never forget! 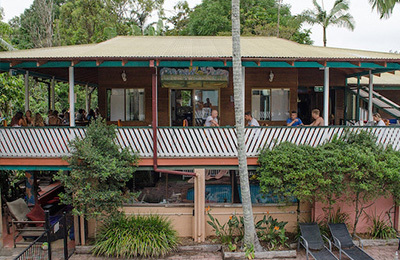 The Australia Surf training Centre is situated only few minutes walking from Nomadsurfers headquarters and the real epicentre of Australian surfing scenery. Your chance to meet a non-surfer here are close to the 0% and the hosting families taking part to this project are not only surfers, but responsible parents and genuine friendly local people (authorised from child care local authority, in respect of severe rules and good previous results and feedback). The Centre has the technology, resources and knowledge to help your son to achieve his goals, as it’s catering for some of the best surfing from various country become the best athletes in this discipline. Sports Program supported by Australian Institute of Sport to integrate at surf : education, Gymnasium, testing and treating room, auditorium. Gymnasium featured with olympic lifting platforms. cable machines, dumbbell, etc. Under 18 male/female will be accommodated with hosts family living close to the surfing centre and on the coast. The accommodation pack includes all the meals during their stay with the great chance to experience the life with an Australian family who will help your kid to improve Spoken english knowledge. Kids can also sleep at the centre, instead of host family. There is also an onsite chaperone in place to supervise all U/18 surfers who stay at the centre. A total of 20 beds available and can generally keep rooms twin share for adults. Private rooms are available on request – subject to availability. There is also an onsite chaperone in place to supervise all U/18 surfers who stay at the centre. Surfers who stay at the centre have full access to the lounges which are a great spot to relax at the end of each day. Smart TV’s, PlayStations and complimentary Wi-Fi are available to all guests and we encourage surfers to take advantage of the lounges during downtime. Full kitchen facilities for self-sufficient guests to prepare their own meals, otherwise catering packages can be arranged, which will be prepared and served in-house. This sport program is supported by Australian Institute of Sport. All the staff are certified from the local federation of surfing and most of them have competed at the highest level of surfing (national and international championship). The Centre has trained or has the pleasure to count as surf coaches names as prestigious as: M.Fanning, J. Parkinson, M. Occhilupo , B. Durbridge, S. Gillmore etc. Australia’s best surfers have developed a high performance training method in order to let every student cultivate his own talent for surfing. The program itself combines surfing, gym exercises, skateboard and swimming training. We will be surfing between the best beaches of the Gold Cost and Ballina, getting until Byron Bay if necessary : Tweed coast, Casuarina, Cabarita, Kingscliff as first options, choosing carefully every day the best surf spot according to the level of surfing and wave conditions. Minimum requirements be able to catch unbroken wave without being pushed. They have surfed hundreds of different wave all over the world dedicating their life to the surf even completing in national and international championship, but most important, they are all experienced on training junior surfers! With more than 10 years of experience and Level 2 surfing coach accreditation, they are capable rescue life guards and awarded for first aid. Most of them take care of the Australian surf national team. The best way to improve your surf with high quality video support is to examine our daily session on big flat HD screen, getting into the details of every single movement and manoeuvre. The expert surf coaches will film your session at the beach ! Once you will get back to the auditorium with your course mates, we will get trough each wave in detail to watch, understand, discuss and learn from the errors of each of us. On the indoor skatepark with Bowl and half pipe specially constructed to simulate the surfing movements ! This special ramp with a large split level half pipe and two roll-in elements will give you the chance to experiment aerials, tricks and turns with high standard materials, always with the highest level possible of safety (body-protection and huge airbags). The Half-Pipe has the shape of the wave giving you the chance to simulate new tricks and land safely on airbags. Moreover we skate outside on concrete floor, with cone slalom and longboard skateboards. It’s always good to bring your equipment and work directly on your board noticing your improvement and errors. But is not essential.. you will have a wide range of surfboards available to try. More than 35 different shape and models of surfboard ( shaped by Darren Handley (DHD) and Matt Biolis (Mayhem) to be tested according to the wave conditions. The surf instructors will guide you through the selection of fins and surfboard. The gym features the same equipments used by professional surfers competing in the world surf championship tour. To improve the surf is essential gain fitness, flexibility and strength with target exercises out of the water! At the gym of the training center we have footballs, trampoline, lifting platforms, cable machines, free weights , dumbbells, elastic bands resistance, and more. In order to take part to the special surfing coaching program is essential that you will be able to trim down a green and broken wave without a surf coach pushing from the back. A good paddling technique is appreciated. The Centre is situated in the middle of one the best and more prolific coast of Australia, Tweed Shire Council in New South Wales. With 1,660 inhabitants the seaside resort of Casuarina is in the middle of Byron Bay and Surfers Paradise, a mix of golden and sandy beaches with beachside ambience in a vibrant and cool friendly atmosphere. 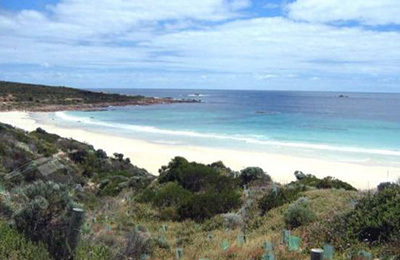 With its beaches, historical and environmental heritage the New South Wales can be considered with Queensland, who boarders with, the main state of the whole continent. Sydney is the capital, a metropolis with almost 5 millions inhabitants. Along the cost you can find amazing beaches, perfect beach break for every level of surf with breath-taking panoramas. More inland, instead, the Great Dividing Range, which separates the wetter coastal plains from the dry interiors, throws up lush rain forests and tropical plantations. The climate vary along the coast from cool oceanic and the humid subtropical climate down to the south. The average temperature is around 24ºC in summer and mild winters. Brisbane and Gold Coast are the two closest airports. In order to guarantee you the best transfer service we highly recommend to check your camp schedule arriving before the starts of every camp. A person in charge of your son will collect him drop him off directly at the airport. Please confirm us your flights details with at least 48 hours of prior notice. Adult Program. Available year round. Under 18 Program. Available during Australian school holiday periods.